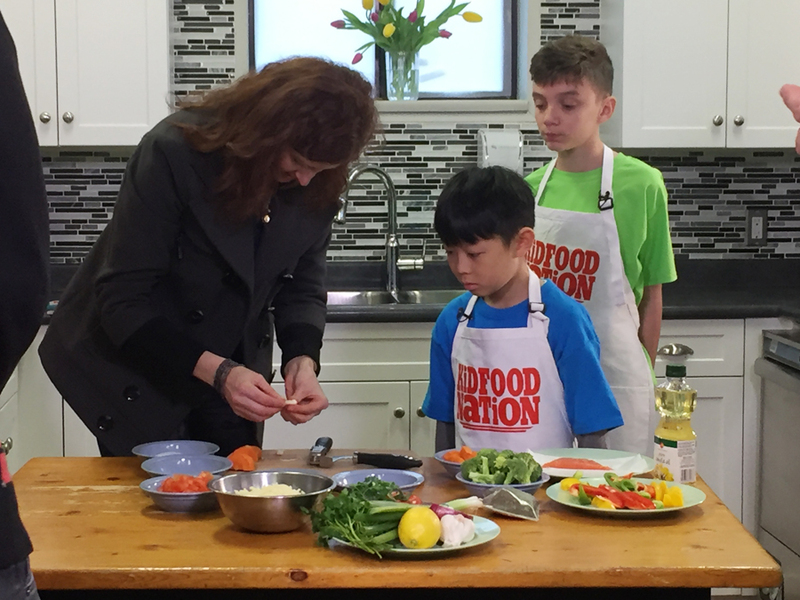 It was Thursday morning and my Mom woke me up very early to get ready to head out for the Kid Food Nation Commercial filming. It was at Kimount Boys and Girls Club in Vancouver. We used their kitchen to prepare the food and I had a lot of fun making my recipe. I get to skip school for the day. I was nervous at first, but Mom helped me stay confident. 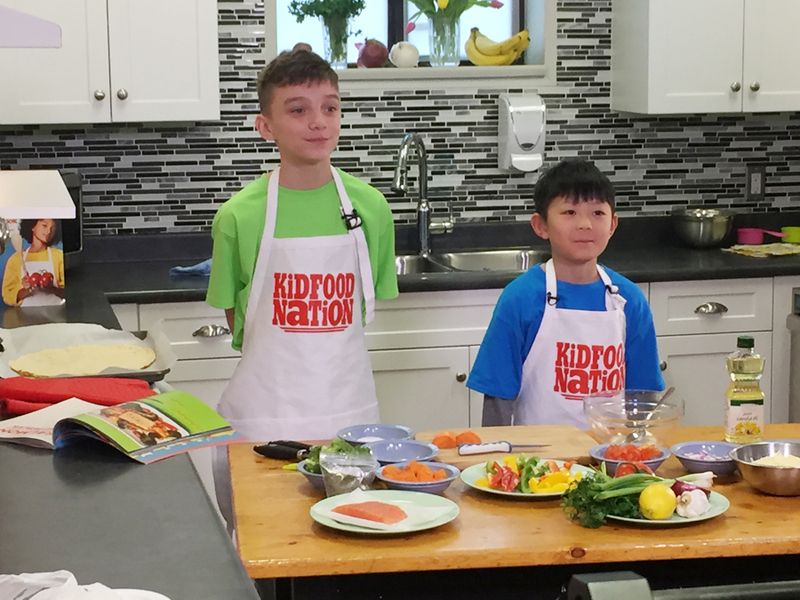 I felt quite happy and met with Oliver again (one of the other Kid Food Nation winners who’s from Squamish, BC). Having another kid with me made me less nervous. 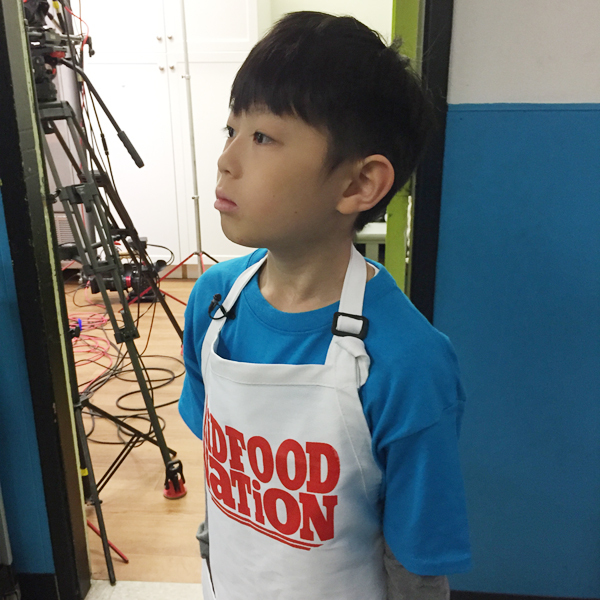 During the filming, we were asked to help each other with the ingredients and learned about each other’s recipes. 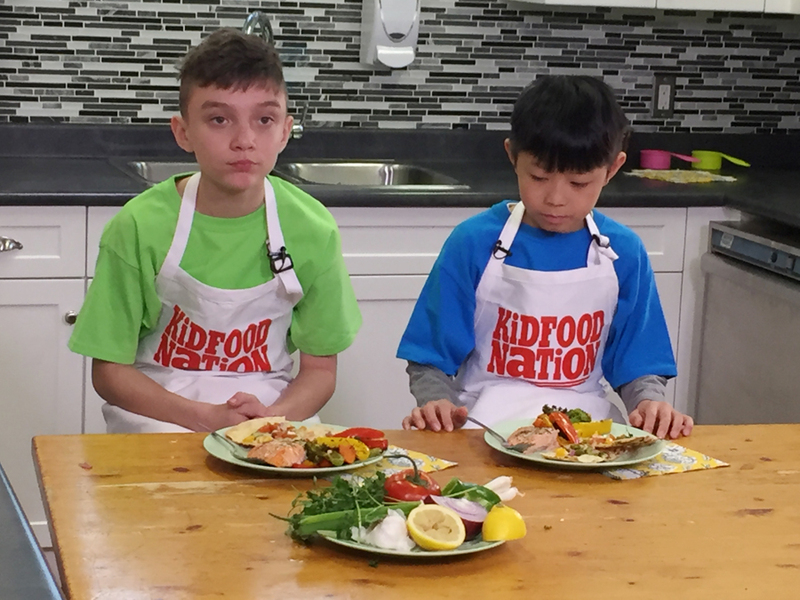 My winning recipe is the Cheesy Quesadilla and Oliver’s winning recipe is the Salmon with Roasted Vegetables. Both were so yummy! After we finished cooking, we got to eat our creations! Oliver’s salmon recipe was really tasty. My cheesy quesadillas were delicious too!